I promise, we are going to talk all about this Earl Grey & Strawberry Granola in a second, but first, can we talk about the fact that I really LOVE cookbooks. Honestly, I love them almost as much as I love to eat! I keep them by my bed, I take them on trips, and I always keep one in my car for when I’m waiting on the kids somewhere. There is a downside to reading so many cookbooks though…it is that it’s really rare for one to stand out from the pack and completely captivate my attention. 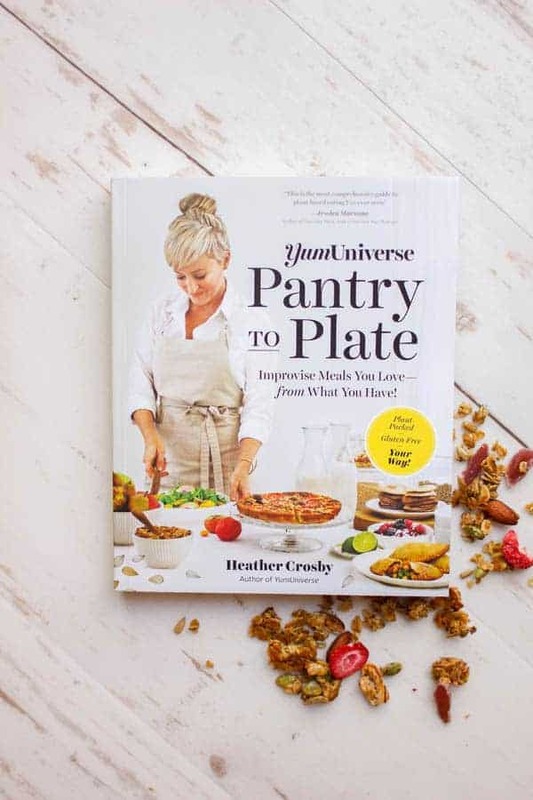 Here is how it works, every section of Heather’s cookbook has a theme, take granola for example. Heather gives a beautifully illustrated master recipe that covers everything from the crunch factor, nuts & seeds, whether you prefer sweet or more savory, flavor profiles, special add-in’s, and finishing touches. 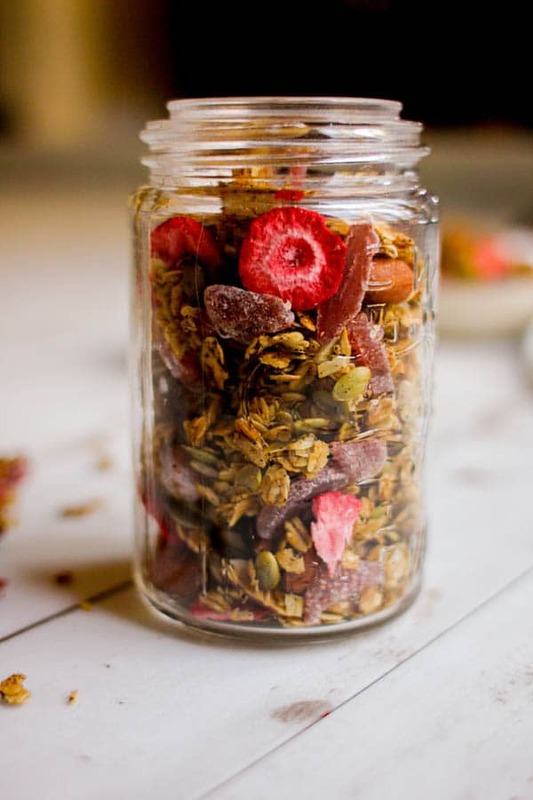 Each little section has lists of ingredients that you probably have on hand in your pantry as well as measurements for each one should you want to get creative and make your own granola concoction. ( I highly recommend playing in the kitchen this way!) 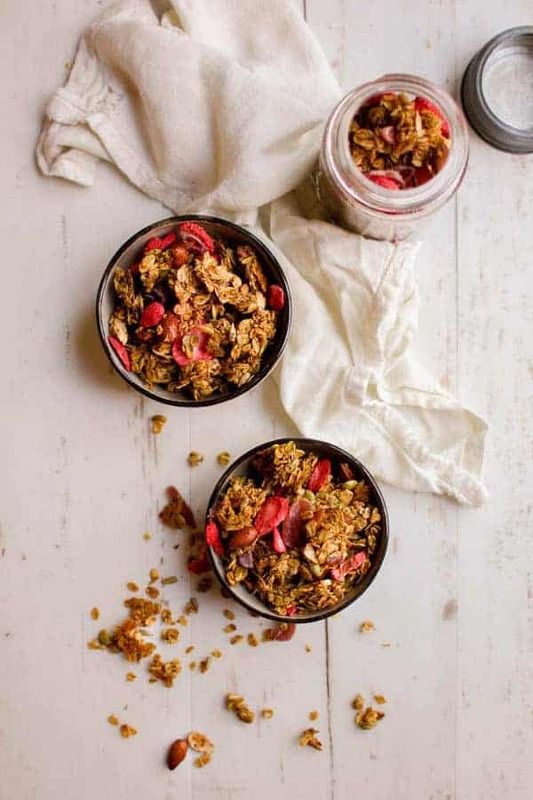 Then to take it a step further, for those days you want a straight-forward, no fail recipe Heather has included 3 original granola recipes of her own. 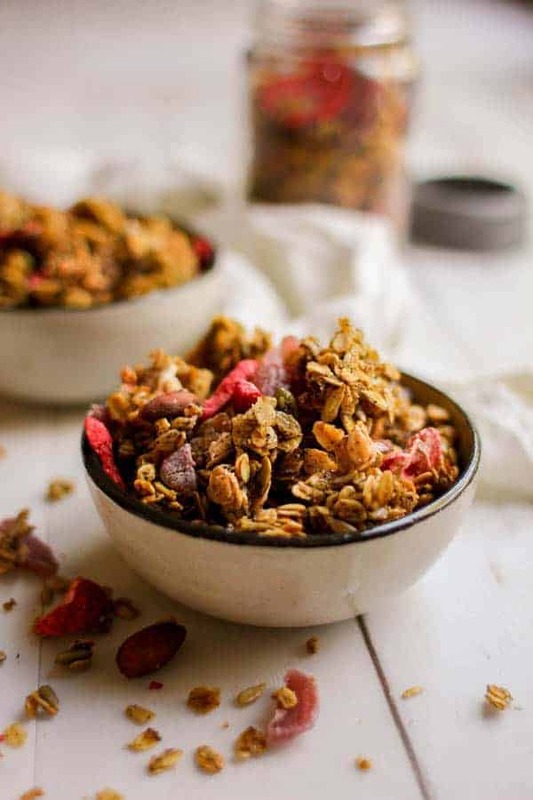 This irresistible Earl Grey & Strawberry Granola is one of the 3 delicious granola variations that Heather shares in her book and to say we are hooked would be a total understatement. 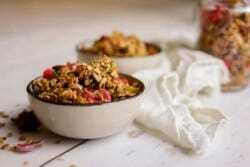 First, it is one of the easiest granola recipes I’ve ever made. Third, dang this stuff is delicious! We cannot get enough of combining Earl Grey and strawberry together. Sweet, tart, and totally addictive! This granola is great on its own, in a bowl of yogurt, served with almond milk, and even sprinkled over ice cream! Preheat the oven to 300°F. In a large bowl, combine the oats, honey, almonds, sunflower seeds, pepitas, olive oil, tea, zest, and salt. Spread the mixture on a rimmed baking sheet in an even layer roughly 1/4-inch thick. Give it a light press and bake for 35 minutes, stirring every 10 minutes, until toasty and golden brown. Once cooled, transfer the granola to a large bowl and break apart; fold in the strawberries. Store in an airtight container in the pantry or fridge for 4-8 weeks. Looking for a decaf version of this granola? Heather suggests using a rooibos-based Earl Grey tea.